The possibility of various partnerships and buy-outs has been tossed around quite a lot recently and it really seems like AMD is way overdue for some kind of restructuring if it is going to survive. Industry sources now suggest that chief executive Lisa Su is considering the possibility of splitting AMD businesses, a move which was previously protested against internally and is still officially denied by the company. The idea is to separate AMD’s CPU, GPU and licensing branches from the server-oriented segment. This could potentially unload a lot of financial pressure form the latter, but it is also worth noting that AMD’s PC business hasn’t all gone down the drain, specifically desktop CPUs, GPUs and the company’s own APU design, which are all doing well. However, putting out quality products and being successful on a tough chip market are two totally different things. 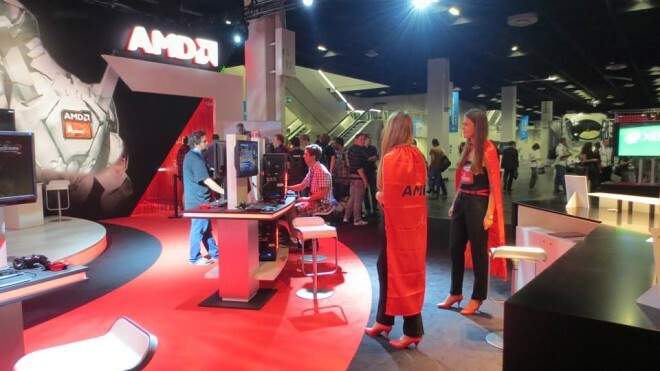 AMD’s net loss was calculated at about $180 million (23 cents per share) for the first quarter of 2015. Only a year earlier the number was just around $20 million. Naturally, stocks have also plummeted and AMD is now priced at around $2.64 a piece – a number which was as high as $40 in 2006. If such a split does occur in AMD it could, potentially, save the company in general, but, might take its toll on the current PC branch as neither Samsung nor Mediatek, cited as interested parties, have much use of AMD outside the realm of mobile tech and GPU expertise. Still, not all is lost, as even without any further business restructuring, some analysts claim that the company will return to profitability in the second half of this year.